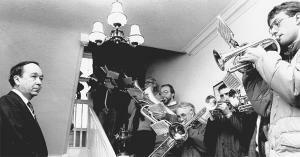 £300,000 bequest to stage annual brass band contest. In his will, he bequeathed £300,000 for a trust to be set up to fund a contest, to be held locally each year at which ‘The Wainstones Cup’ could be presented to the winning band together with significant prize money in order to attract world-class brass bands. 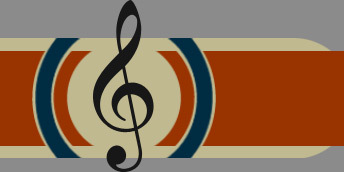 A condition of the trust deed is that at least one trustee must be a member of Cockerton Band’s executive committee. The Dr Martin Trust was set up in 2009 and plans are now well established to hold the second competition on September 11 2011 at Middlesbrough Town Hall. Organisers hope to attract the very best bands by restricting entry to championship section band only and limiting the number of entrants to 15 bands. The contest is offering substantial prize money with £4000, with The Wainstones Cup being awarded to the winning band and £2000 for the runners up. £1000 will go to the band coming third and trophies for best solo and best march will also be awarded. A contest website, www.doctormartintrust.com is now live where further details will be found including how to apply for a place. Entries will be charged at £150 per entry and bands successful in obtaining a place will receive a £300 appearance fee on the day of the contest.